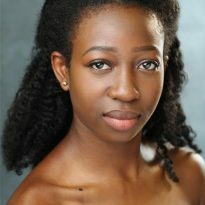 Abiola graduated with a BA Hons in Professional Dance & Musical Theatre from The Urdang Academy in 2017. Credits Include: Tia/ 1st cover Dionne, Jeanie and Crissy in the 50th anniversary production of Hair (Vaults Theatre, Waterloo dir- Jonathan O’Boyle), Nikki/Kitty in Hero (Theatre Royal Stratford East dir- Shireen Mula), Dua Lipa (Dancer BRIT Awards 2018), Dancer in Four Corners Dance Company 2017. Abiola is thrilled to be joining the cast of Hairspray and would like to thank her family for their endless love and support.